Yeah. If you are lucky, you could even get Samsung Galaxy Tab 10.1-inch (SGT 10.1-inch) at RM749. What’s the trick? Well, actually it’s very simple. Don’t sleep tonight and camp in either Plazza e@Curve, Mutiara Damansara, Queensbay Mall, Penang or Jalan Kempas, Johor Bahru or wake up very early in the morning and queue. Got the trick? Do consider that if you really don’t like contracts. 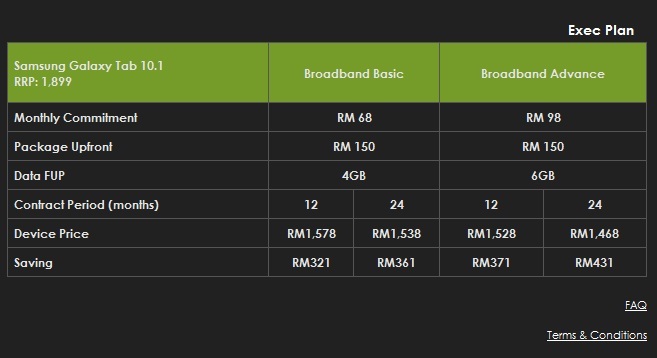 At the same, let’s analyze Celcom’s data packages. 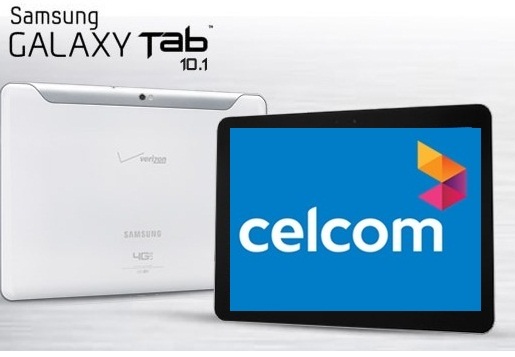 Celcom’s Official Samsung Galaxy Tab 10.1-inch data packages. From my point of view, it’s not really worth it unless you are looking for a mobile broadband. The savings that you get from the 1-year contract is only RM321 and RM371 and 2-year contract is only RM361 – RM431, depending on which package you choose. And if you use auto-billing with your credit card, you get to enjoy another 5% rebate which makes your monthly bill only RM65/month for Basic and RM93 for Advanced. any news for SGT 8.9? and the price? No news yet but will post it up when I have any news about it. Next story Blackberry Bold 9900 & Blackberry Torch 9810 Price in Malaysia Revealed!!! Previous story Samsung Galaxy Tab 10.1-inch Official Price and Celcom Samsung Galaxy Tab 10.1-inch Package Plan Revealed!! !